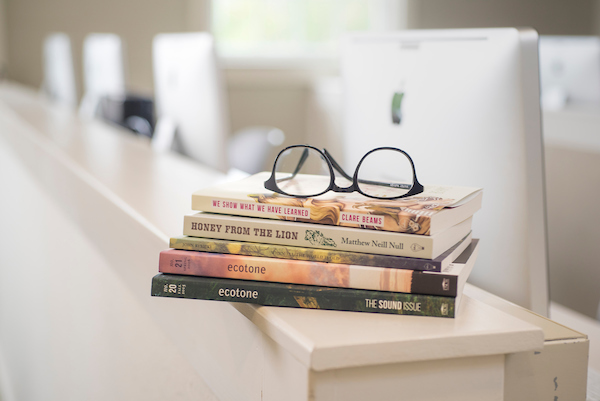 Founded by Publishing Laboratory director Emily Louise Smith and Ecotone editor emeritus Ben George, literary imprint Lookout Books seeks out works by emerging and historically underrepresented voices, as well as overlooked gems by established writers. In a publishing landscape increasingly indifferent to literary innovation, Lookout offers a haven for books that matter. The imprint officially launched in January 2011 with Edith Pearlman's Binocular Vision: New and Selected Stories, which was extolled on the cover of the New York Times Book Review. Binocular Vision went on to be nominated for the National Book Award, the Story Prize, and the Los Angeles Times Book Prize; in addition to those honors, Pearlman's collection won the National Book Critics Circle Award, the PEN/Malamud Award, the Edward Lewis Wallant Award, and the Harold U. Ribalow Prize from Hadassah Magazine. Now in its ninth U.S. printing, it has so far been translated into Italian, Swedish, Chinese, and Japanese, and received enthusiastic reviews from, in addition to the Times Book Review, the Los Angeles Times, the Boston Globe, the Washington Post, the Chicago Tribune, Christian Science Monitor, and the Rumpus, as well as starred pre-publication reviews from Kirkus and Publishers Weekly.